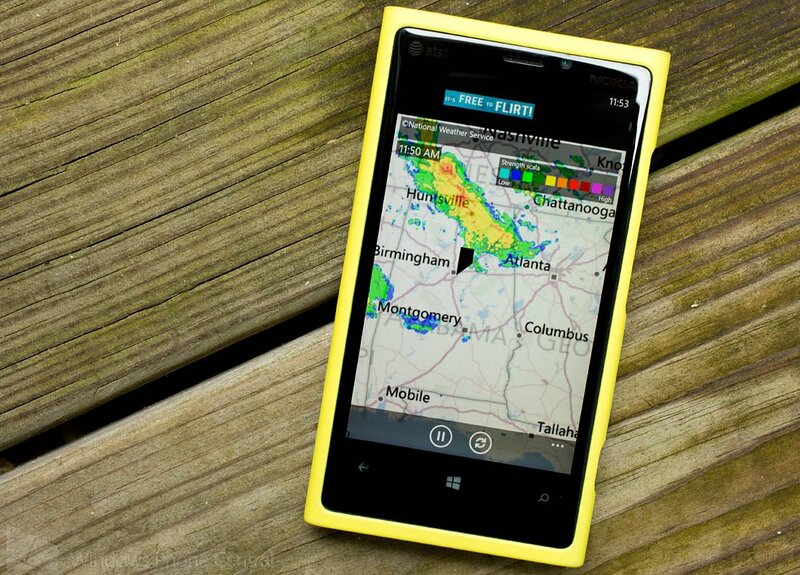 Rain Alarm for your Windows Phone is a weather radar app that can alert you of rain or snow through push notifications. The main view of Rain Alarm is your typical map with the latest weather service radar displayed. Radar imagery is animated and can be paused or refreshed with the control buttons at the bottom of the screen. Rain Alarm is a fairly simple app but may come in handy if you want to avoid the wet stuff while traveling or just don't want to caught off guard. While the appearance may be fairly routine, Rain Alarm's settings allow for custom search parameters for rain or snow and notifications when precipitation is found. Settings are accessed beneath the three-dot menu and cover the distance (12, 22 or 55 miles) you want the app to search for rain, the frequency of the search (10, 30, 60, 120 minutes) and sensitivity of the search (looking for a little rain or a lot of rain). Push notifications are issued when rain is detected and you can set the time frame you want to be notified. The push notification will also tell you how far the rain or snow is from your current location as well as the intensity and area of the precipitation. There are some regional restrictions with Rain Alarm in that it will only work in Germany, Austria, the Netherlands, Spain, Slovania, Croatia, the United Kingdom, Ireland, Norway, the United States, Canada, Australia, Japan, Argentina, Taiwan, Malaysia, Singapore and Brunei. Not sure as to the why but maybe the weather radar services are not available outside these regions. All in all, Rain Alarm isn't too shabby of a weather app. If you're traveling, I can see Rain Alarm coming in handy to let you know when wet weather is near. In just tinkering with the app for a short period, the only downside we could see is that it takes a considerable amount of time to load the radar images. 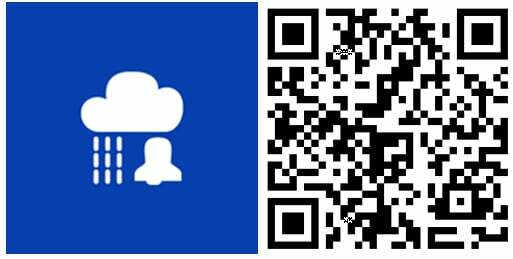 Rain Alarm is a free, ad supported app for Windows Phone 7.x and 8 devices. 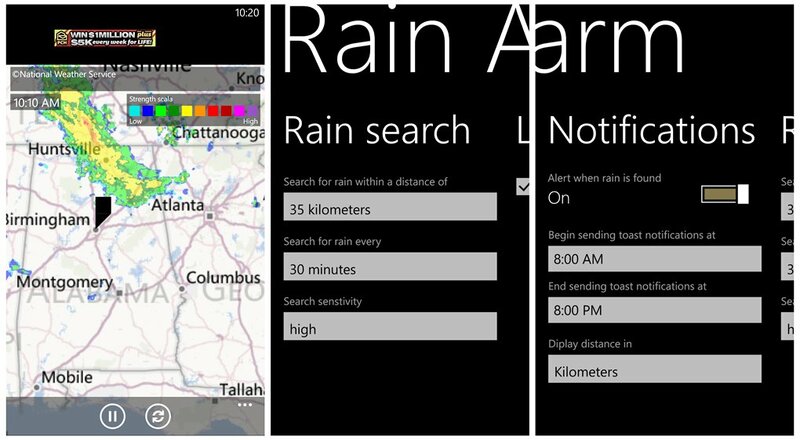 You can find Rain Alarm here in the Windows Phone Store. Oh and for those interested, Rain Alarm is also available for Windows 8. The Windows 8 version of Rain Alarm is also a free app and you can find it here in the Windows Store.